Geologic archipelago-making rendered in months rather than the usual billion or so eons. i was just dreaming and thinking about Atlantis..and posted something about it...now your amazing finding! Oil-sheiks have a crazy take on architecture. These pictures are interesting to see... this strange, obviously man-made, shape, that some how doesn't make sense at all in the context. And somehow make all to much sense. Not just a man-made shape, but kind of a "man shape". Or am I just being Freudian? It is a fertile development. 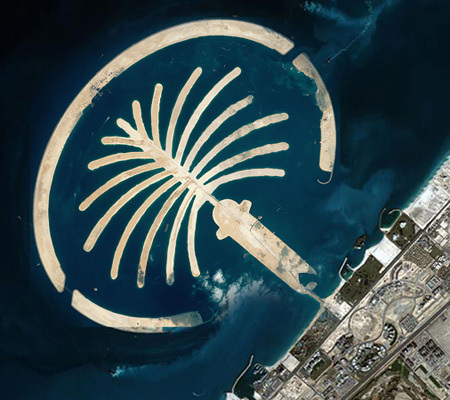 No no, creative - it's a palm tree, the symbol of Dubai, and has nothing to do with ancient symbols of fertility. A good old-fashioned palm tree. But now you've mentioned it It'll be quite difficult to ignore in the future. Oh. I love it when architecture get's re-branded by the public wit. 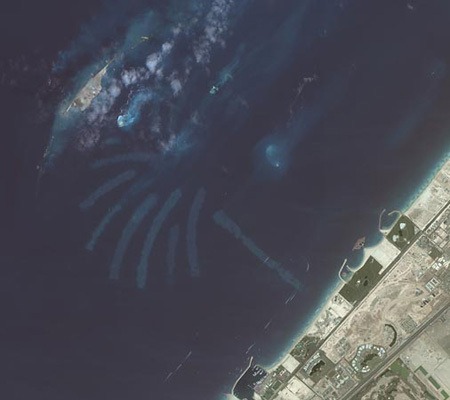 I remeber at school being told that the Great wall of China was the only man made thing you could see from space with the naked eye....I wonder if that list has changed with Dubai's terraforming? What can I say about Palm Jumeirah? It is a masterpiece of our generation. 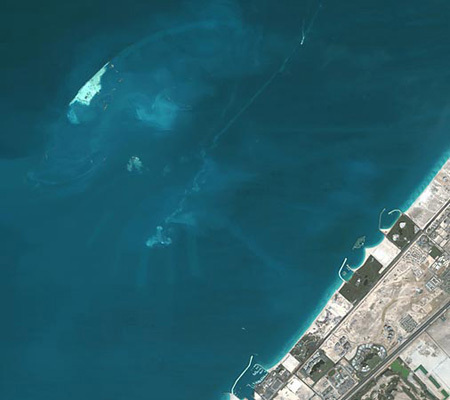 Engineer technologies or whatever is it has developed to such levels, so people are able to create artificial islands!! I still cannot realize it!!! Now only Dubai property have in its collection such islands, but before we could say Jack Robinson such projects will be build on different parts of the world. Hey Mariyam: you're absolutely right that similar projects have been "planned" in other parts of the world. They include an artificial island shaped like a maple leaf for the Toronto's waterfront; the Federation Island project in Russia (Cf. 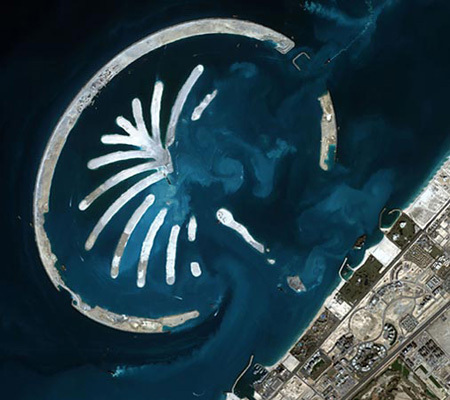 The World, Dubai); and a tulip-shaped island in the Netherlands. Perhaps there are others, in which case, let me know. And by the way, the links above take you to Eikongraphia, an unfortunately much ignored great blog. 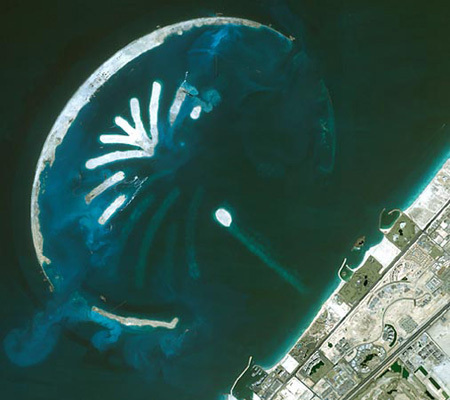 Of course, the terraforming is amazing in Dubai, but it is not new. Recall that the entire city of Venice is an ancient city completely composed of man made islands.